Lewin and Reilly is the combined effort of husband and wife duo Kim Lewin-Reilly and Andi Reilly. They have diverse backgrounds in health and wellness and believe in sourcing premium certified organic, wild harvested and biodynamic ingredients that are effective, ethically produced and from close-by. All Lewin & Reilly products are rested solely on humans, and are completely transparent in whats in every formula. Shop: Zeolite & Elderflower Purity Face Mask - great for sensitive skin that needs a boost. This mask will gently exfoliate, removing all impurities for the softest, smoothest skin of your life. 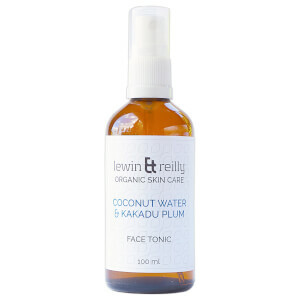 OR Try: Olive & Kakadu Plum Face Cleansing Oil - offering a complete cleanse without stripping skin of natural oils. Perfect for any skin type.